Romney had this lovely idea to subscribe ourselves at the Elsass Landrover Meeting for this weekend. So fully charged for 10 months + 1 weekend of gear only for this weekend, we went to do some last test rides on off road tracks. Just to find the limits, with the new suspension and all the load... 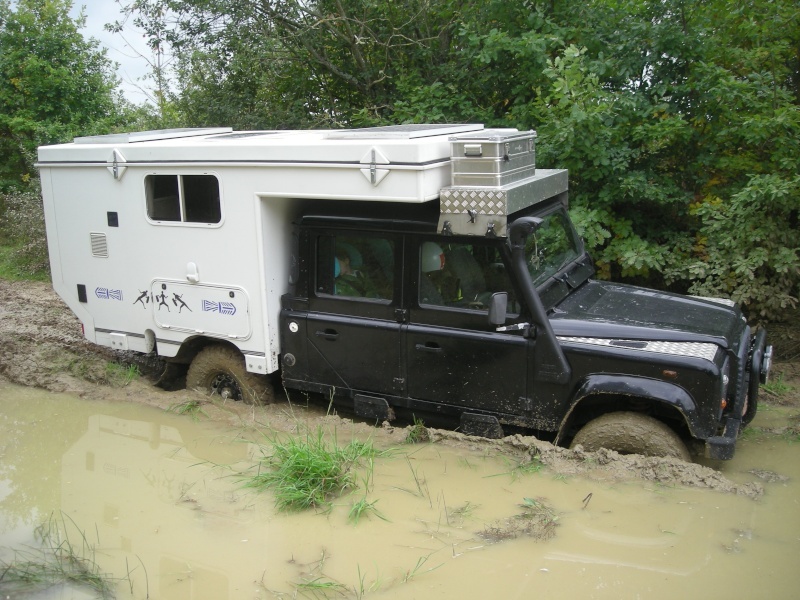 Which resulted in a very uncomfortable situation where we got stuck in mud, but really deep, and because we were to heavily charged, there was no way to get us out. 1,5 hour later and 3! 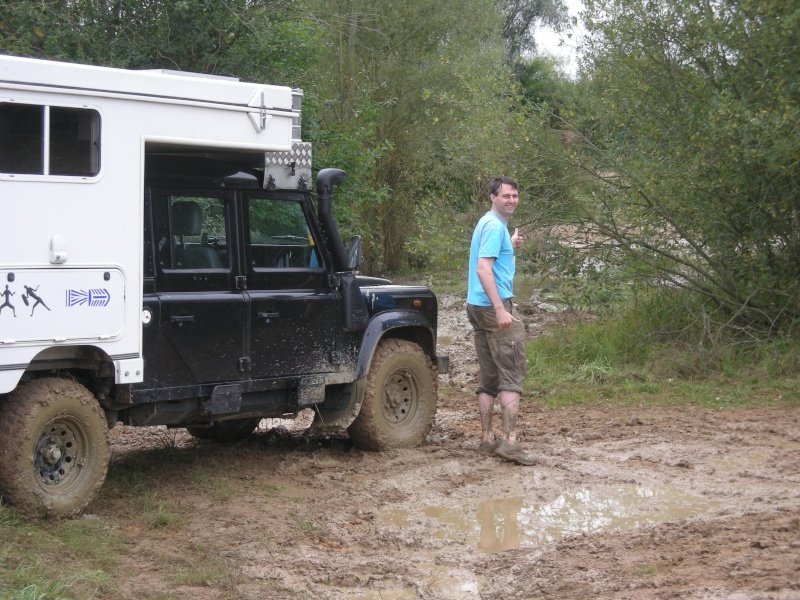 Landrovers attached at the same time pulling finally we got out of the mud without any damages. Of course it was a nice experience, but timing wise I could have dreamt of another weekend to do this. Thanks again to all who helped us out in one way or another. Rest of the weekend was lovely, even though it was muddy,... hey actually this is ideal for a Land meeting, as all those cars are made to play in mud. Etienne played a lot with his Land + cell and Bob showed him even more challenging paths with all the experience he has. It was a nice get together. Once we are back, we will definitely go again.